Reuters Reports Lower Growth for China Predicted. Home/Reuters Reports Lower Growth for China Predicted. Today is Sunday 20th January 2019 and we are briefly commenting on a report issued by Reuters today on China. Whilst it is expected that China’s Government will intervene with various forms of stimulus measures most analysts are predicting that the situation is likely to get worse so much so that many are lowering their growth estimates for China to 6.3% this year. Now we have issued a number of articles and videos in the Inner Sanctum highlighting what Reuters is now reporting. 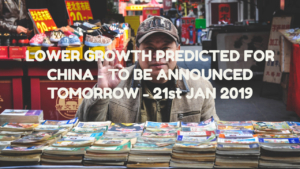 We have also cautioned listeners and subscribers to bear in mind that China represents nearly one third of global growth over the past 10 years and any slowdown in its economy are likely to have quite considerable effects upon much of the rest of the world. Many of its problems have been easily identified due to the poor and problematic reporting from companies such as Apple and a number of car manufacturers. In addition, shipping figures indicate that China’s imports of a number of crucial raw materials are also down and this does not bode well for the future. Now that said and in the interest of balance, 6.3% growth is still considerable when compared to that predicted for the US this year at or around 2.5% or other EU economies ay 2% or in some cases lower. Nevertheless, if the second largest economy in the world is feeling the squeeze, then there is little hope for the rest, unless of course other countries can make up for it. However, a brief look at emerging market economies, the US, the UK, Europe etc its difficult to see where this could come from. We have previously reported that Vice Premier Liu He is visiting Washington at the end of January to continue trade and tariff talks with the US and indications suggest that the outcome could indeed prove quite positive as both President Xi and President Trump need a political as well as an economic win at this time. However this must also be couched within the framework that even if such a positive agreement comes about and China also adopts stimulus measures – it still does not guarantee a full revival of economic fortunes. To help achieve this, Chinese policymakers have fast-tracked construction projects and cut taxes and some import duties to spur demand. The Central Bank has also cut the amount of reserves that banks need to set aside as reserves five times over the past year. These measures are likely to increase in 2019 including the prospect of further tax cuts and more Government spending on infrastructure to be announced at its annual Parliament meeting in March. 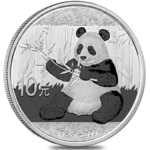 Either way, China though having an alleged robust economy is clearly under pressure and any reduction in its demand for raw materials or any reduction in its populations spending power will not prove positive for Chinese demand for gold and silver, unless of course investors take fright by these move and transfer funds from equities and corporate bonds towards precious metals. We shall have to wait and see what the formal announcement states tomorrow and what the repercussions from it will be. i do not believe that the demand for gold in China has anything to do with the GDP other than if the GDP evaporated. Gold is a central pillar of the multi-year plan. China buys what she can at the lowest prices she can. The limit on gold buying is on the supply side. China could buy up all the silver in the world in a heart beat. 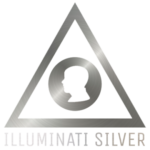 The supposed billion ounce stockpile of silver when David Morgan spoke of several months ago amounts to less than $16 billion which is not even pocket change. Indeed it is. With regards to silver do you not think that China is really only buying it for its industrial usages and purchase gold as its ‘monetary metal’?